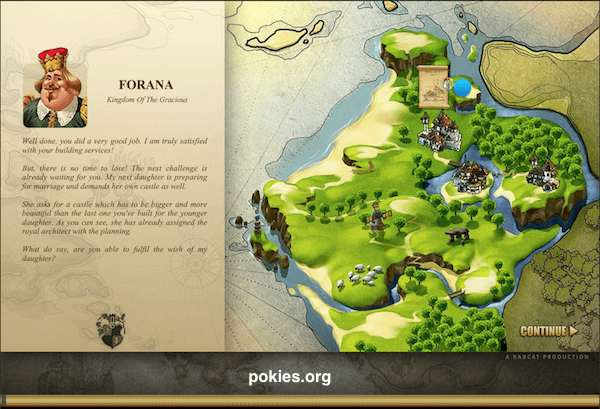 The theme of this online pokie is focused on building ancient castles. This is done by hitting the tools section of the panel during the regular play sessions. The castles later separate into homes and you can have a view of these as they are located just at the center of the screen to the left. You can also measure of how you are progressing with your castle building mission and there is a meter at the top of the screen to help you do this. If you are in love with medieval setting then this is the kind of pokie that you should have your eyes set on. 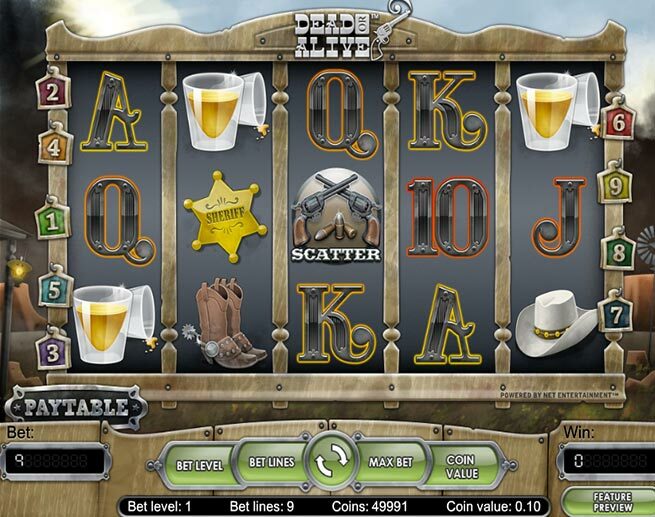 This pokie comes with a 5 reel, 3 rows and 15 selectable winning pay-lines. A player can stake a minimum bet amount of $0.15 per spin while on the maximum end the amount is fixed at $15. There is an “Auto-Play’ option and this allows for automatic building of the castles and the good thing is that with the auto option things really do go fast. Play With $800 In Bonuses From Leo Vegas >> Play Now! There are lots of regular prizes that can be won on the reels while the playing session is on. The locked castle door is considered one of the most lucrative regular symbols and has a payout of 20,000 and 2,000 coins respectively if 4 or 5 of the symbols appear on a line. The treasure chest gives a payout of 1,000 coins if 5 of the symbols make an appearance on the reels. Coming next are the smaller chest and the pot and these have a payout of 500 and 250 coins respectively. The wild symbol is the castle builder (an old guy) and the wild can substitute for any regular symbol though not for the builder symbols. The builder symbols are tools and these give rise to castle pieces each time player gets over 2 on a winning line. After completion of the first three castles, a player is awarded the “Emperor’s Medal” and this means lots of cash rewards. The next phase does involve a set of other smaller buildings within the kingdom setup and the turn-around time for this task is usually faster though with smaller total amount of prizes. The graphics are pretty amazing and are a true expression of what you would expect any medieval castle building task to look like. The symbols aren’t that quiet a lot as it is for other pokies, and this allows for much of the action to be effectively followed. In addition, the sound track is a beautiful one and this let you to really have some fun while striking some massive wins. 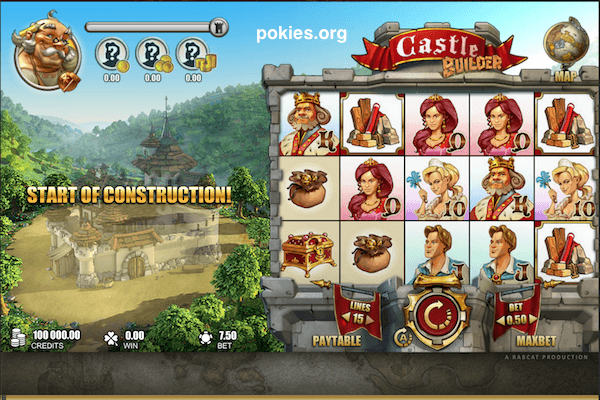 You can catch up with the castle building theme by visiting either Casino Luck or the Next Casino. These mentioned joints offer lots of other hot online pokie games and if you are a fan of the Rabcat pokies then you won’t miss any of your preferred titles. 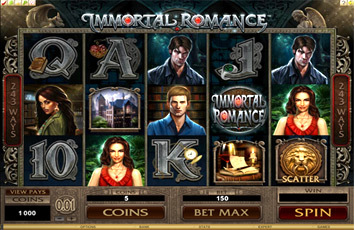 On top of that, they reward new players with up to $200 in sign-up bonuses and a matching amount in free spins.